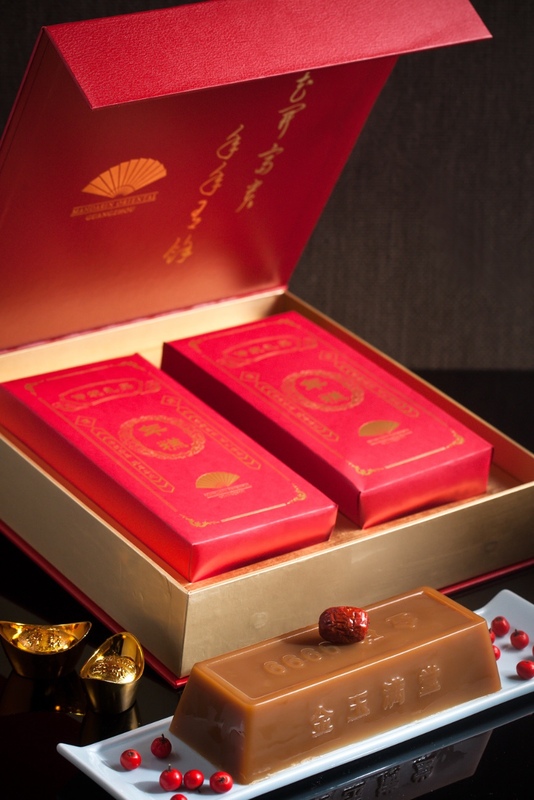 From rice cakes and cookies to Chinese New Year hampers, The Mandarin Cake Shop has you covered this Spring Festival – offering the perfect gifts for friends, business associates and your family. The Wealth Rice Cake Gift Box is priced at RMB228 and comes in two distinct and delightful flavors: brown sugar and coconut. The Deluxe Chinese New Year Hamper is priced at RMB888 and includes both brown sugar and coconut rice cakes, olive oil, XO sauce, tea leaves, mixed nuts and a bottle of red wine.